Results Worth Crowing About! 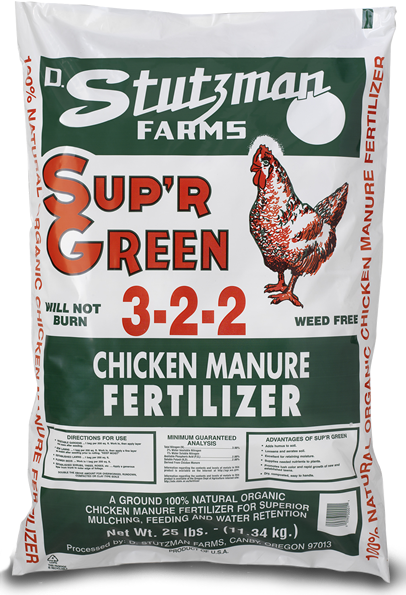 For over 40 years, D. Stutzman Farms has supplied 100% natural organic fertilizer products derived from poultry waste. All of our organic fertilizer products are compliant with the USDA National Organic Program and we offer products registered for certified organic crop production with OMRI, WSDA, and CDFA. A ground, 100% natural organic composted mixture of sawdust and chicken manure for superior mulching, feeding and water retention. 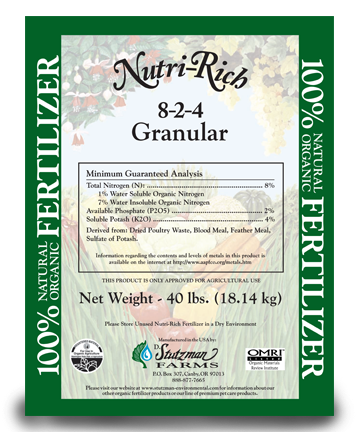 100% Natural Organic Fertilizer - Nurti-Rich offers the most natural source of essential nutrients to promote vigorous plant growth, bountiful yields and brilliant flowering. 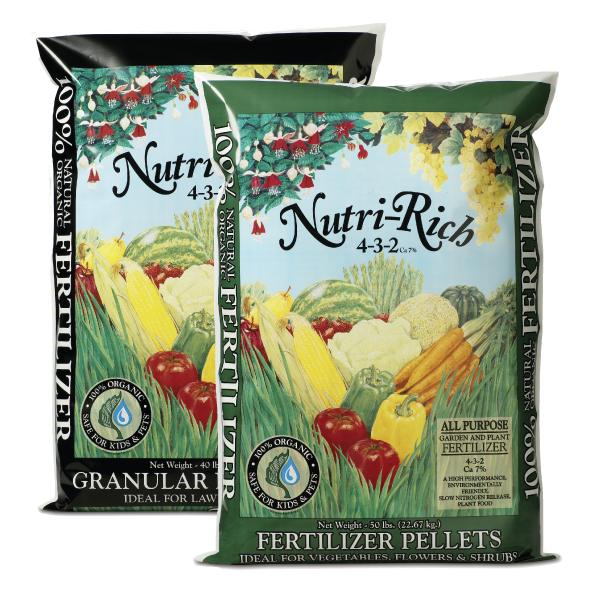 Nutri-Rich is formulated with a broad spectrum of nutrients that slowly release as plants need them. The result is a longer lasting green, a stronger and robust shoot and root system, and flowering and fruiting beyond compare.